I’ve played Dead of Winter a couple of times before, and was a bit underwhelmed. That, however, was with only two players, and hence no secret objectives Today’s game with four (Tom, Daryl, Aaron and myself) was very much better. Our main objective (“We Need More Samples”) was to kill nine zombies. My own secret objective was to retain two medical supplies (“Hypochondriac”). 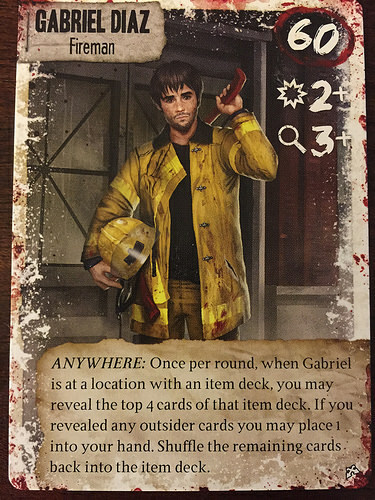 Later on a crossroads card introduced a new challenge: to keep the police station, hospital, and gas station zombie-free. I started with fireman Gabriel Diaz and pilot Sophie Robinson. Sophie died early on, but Gabriel soon recruited nurse Janet Taylor. Janet’s expert searching at the hospital helped to resolve two of the crises faced by the colony, and also found the extra medical supplies I needed. Later psychiatrist James Meyers joined my group too, but he did little but encourage everyone from the sidelines. Gabriel managed to find a tactical rifle at the police station, and between that and another rifle held by Tom it looked as if we were well on our way to success, despite low morale caused by a few survivor deaths. Indeed, we only needed to clear one more walker to win—except, that is, Tom, who suggested he needed to keep search to find fuel (as his secret objective). Rather than take the victory, we agreed to play the last turn. Tom found his fuel. All that was needed was for Aaron to finish off the one zombie at the gas station, then return to the colony. He killed the undead abomination easily. On the way back, however, he was bitten—and infected the rest of us. 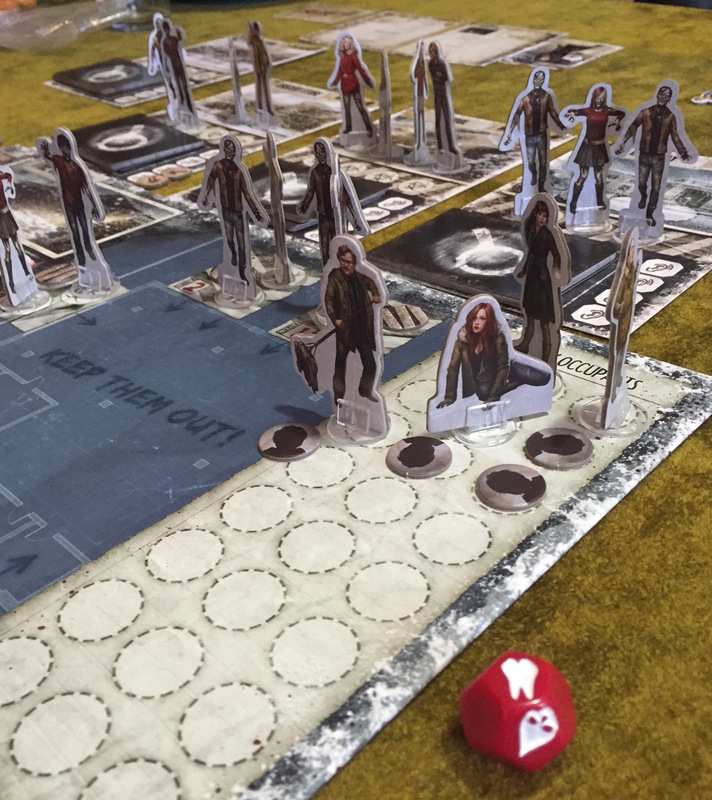 As survivors died our morale plummeted… and we lost the game.